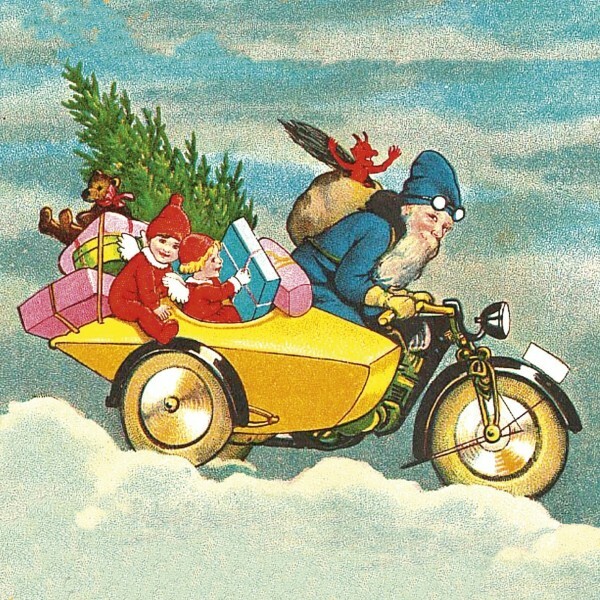 Ride far, ride free, ride safe 2017! Photos of a very lovely Zenith Gradua twin and wicker sidecar from the veteran era. 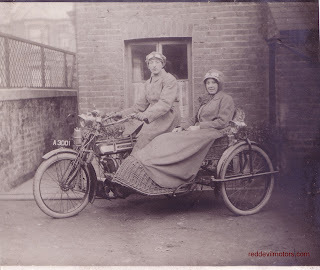 The rider apparently the same in each one but the lady passenger different! 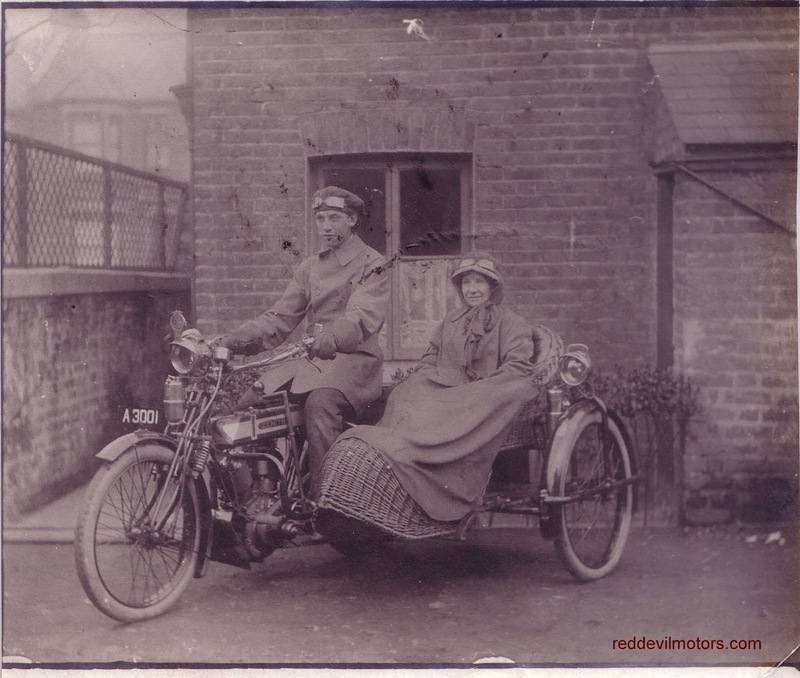 addition: Thanks to the anonymous comment dating the bike as 1912 and also naming the sidecar as possibly being a Mills-Fullford. Behold! 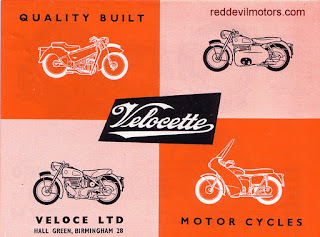 Velocette's range for 1958. 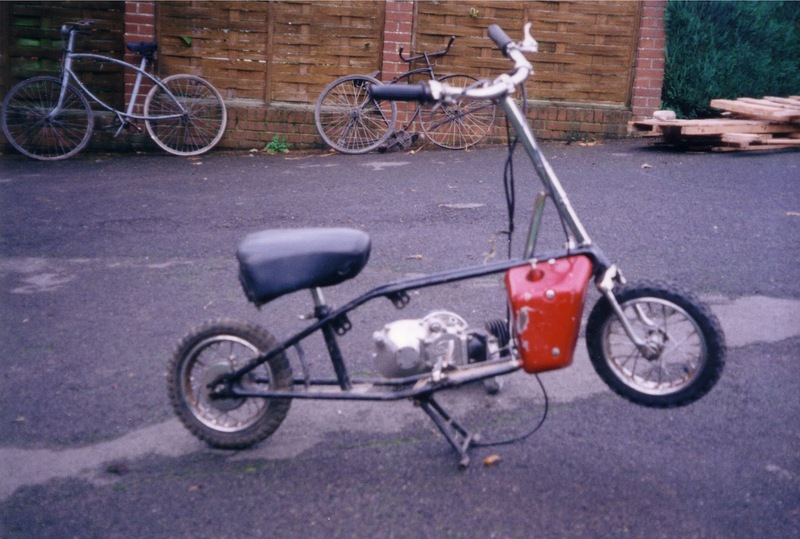 Bodywork was in vogue at the time and Hall Green tried to jump on the bandwagon with some slightly cumbersome engine fairings. 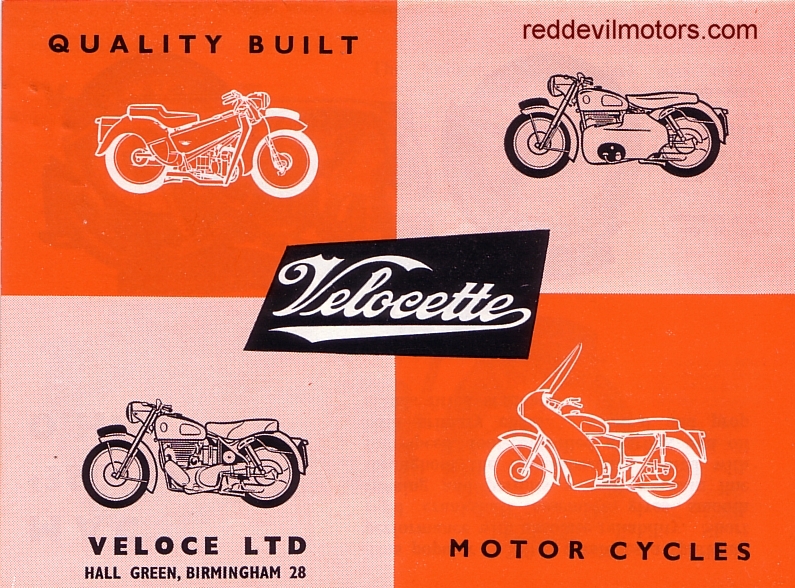 Velocette 1958 brochure front cover. 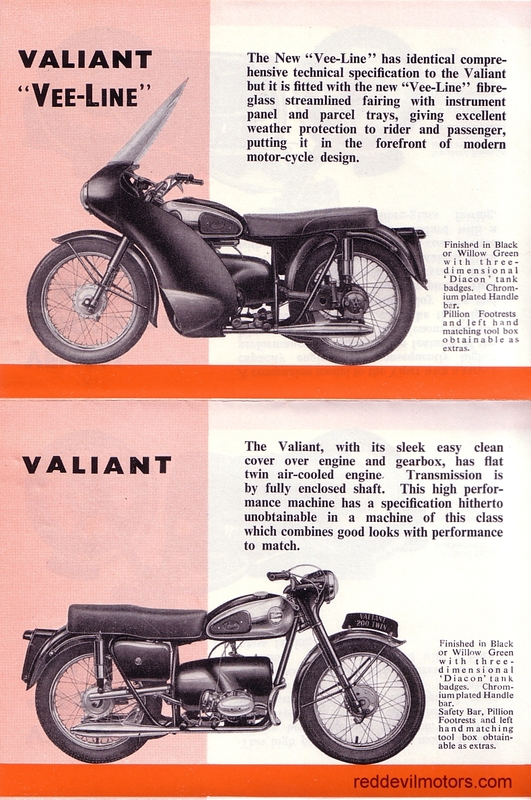 Velocette 1958 brochure page 1. 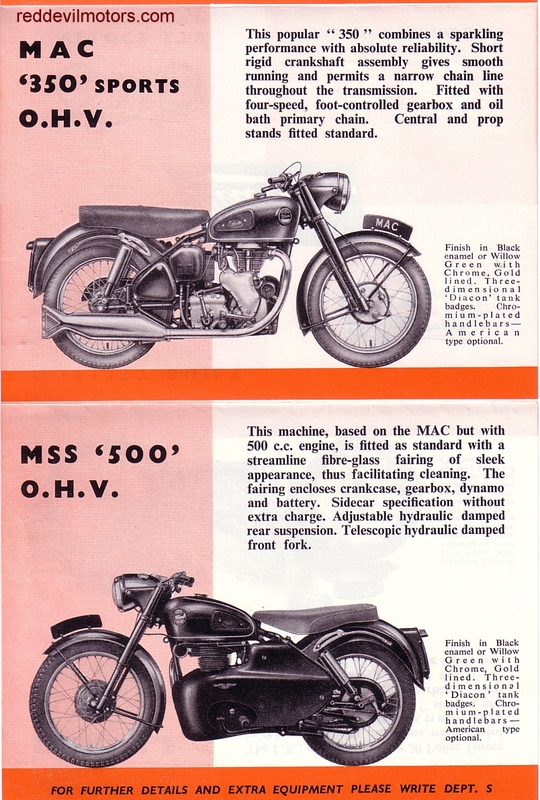 Velocette 1958 brochure page 2. 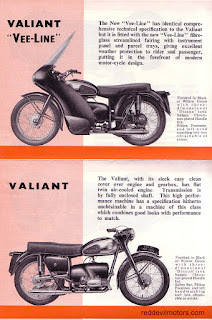 Velocette 1958 brochure page 3. 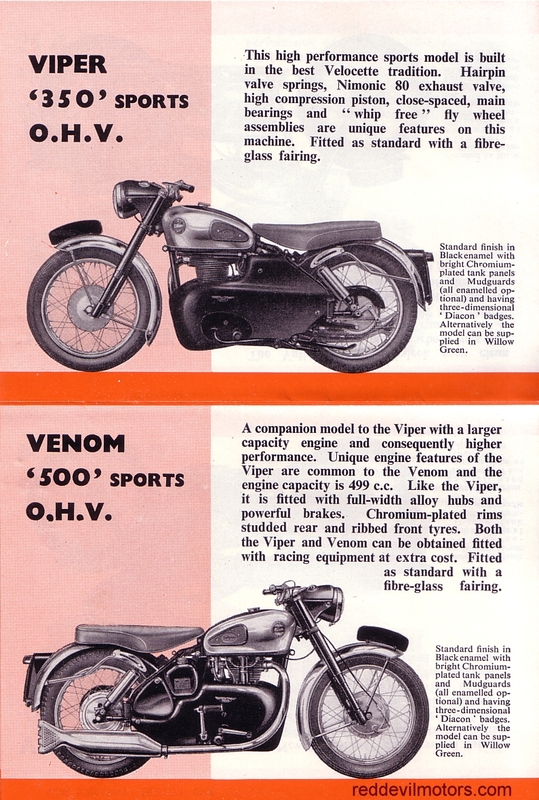 Velocette 1958 brochure rear cover. Recently a Kenilworth scooter sans petrol tank wondered in to my garage and took up residence. Strangely I had seen a Kenilworth tank on offer at the Great Dorset Steam Fair just a couple of months before and I rued that I did not give in to my hunter gatherer urges felt towards that particular tank. 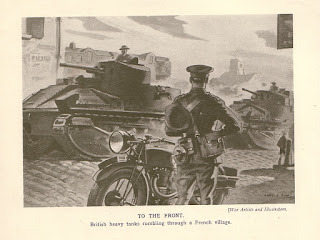 After all it was a very nice tank in very nice condition. I didn't even kid myself that it would come in useful one day, it just seemed like something that you wouldn't see again and might make a pleasant enough ornament. After acquiring the tankless Kenilworth I felt that somehow the gods were playing with me and I was destined never to see the Steam Fair tank again. 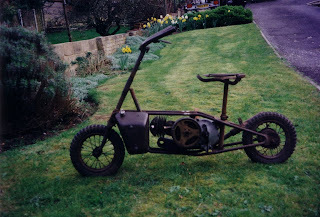 And so it was: that particular Kenilworth petrol tank has vanished forever from my life, just a fleeting memory. 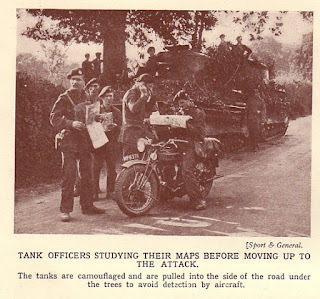 However in its place, another Kenilworth tank. A very nice gentleman got in touch with me via the previous keeper of the Kenilworth and offered me the below tank for a very reasonable sum. Times like this give you some faith in humanity as I was clearly without Kenilworth tank and dearly in need of same. 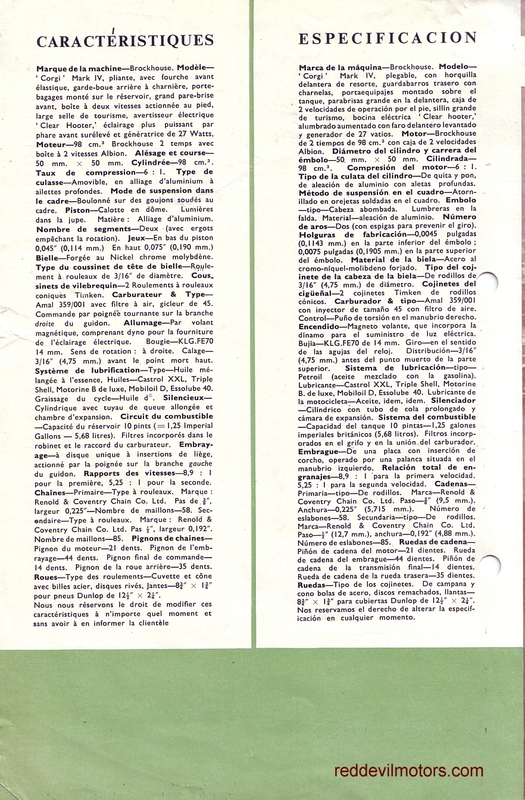 Unusually this brochure has the spec sheet translated in to both French and Spanish. 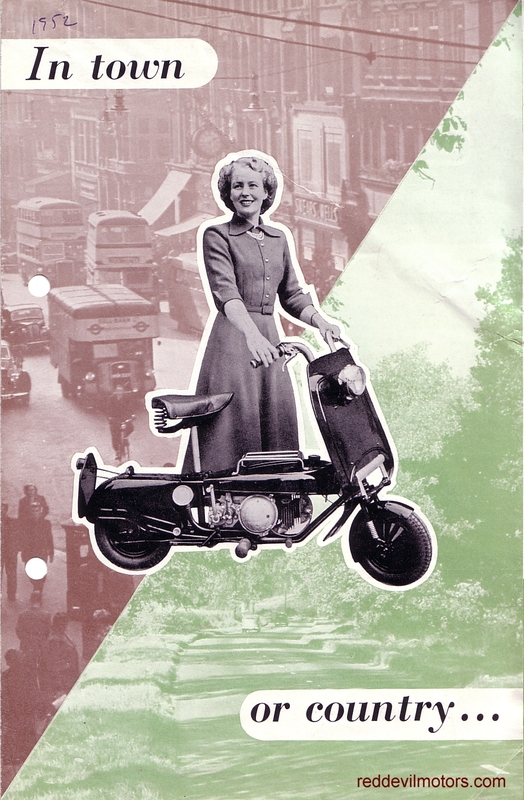 Mk IV Corgi brochure 1952 front cover. 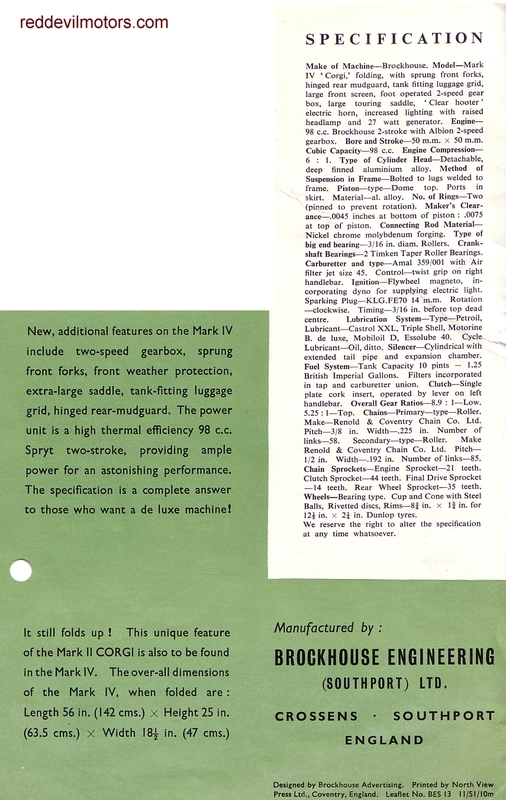 Mk IV Corgi brochure 1952 inner pages. 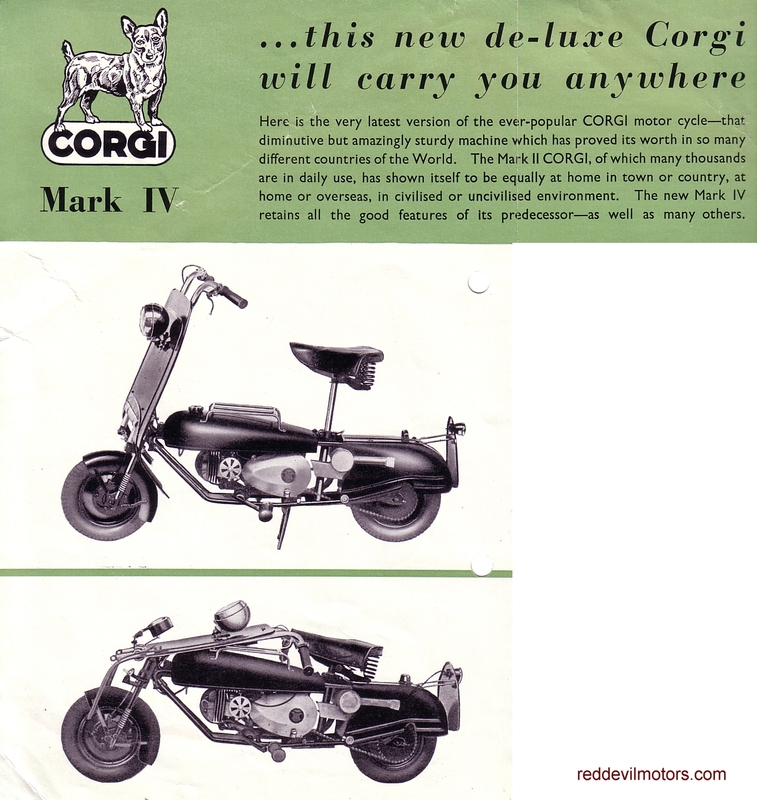 Mk IV Corgi brochure 1952 rear fold. 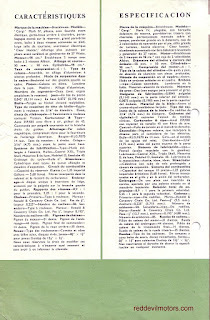 Where this book came from I cannot remember. I think I have had it since childhood, it was quite old even back then! 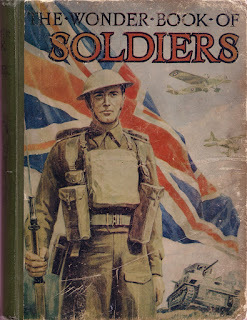 The Wonder Book of Soldiers is a flagrant piece of war-time propaganda and was published right at the beginning of the War in 1939 when there was still the resource to print large books. 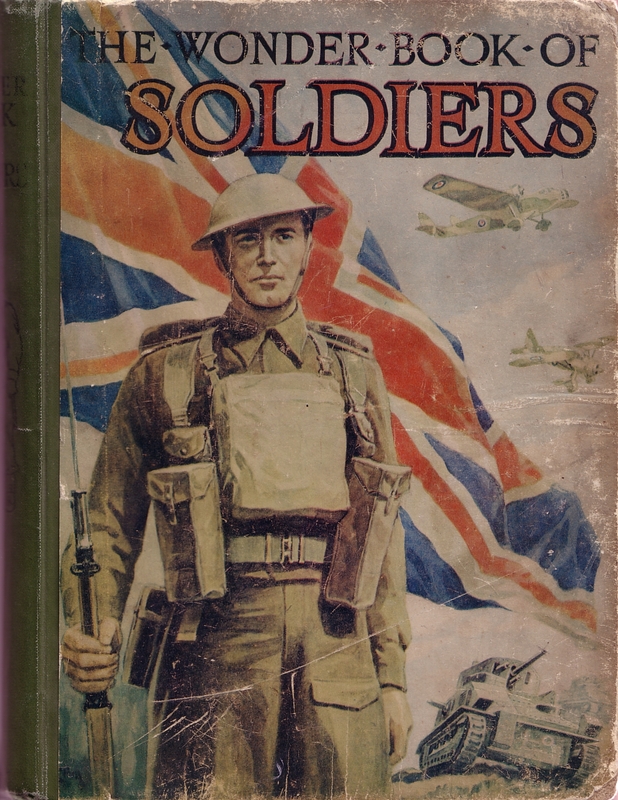 The book is full of optimism for a short and triumphant war from the time before the evacuation of Dunkirk. Many of the copious images from the book were taken during exercises in the twenties and thirties. 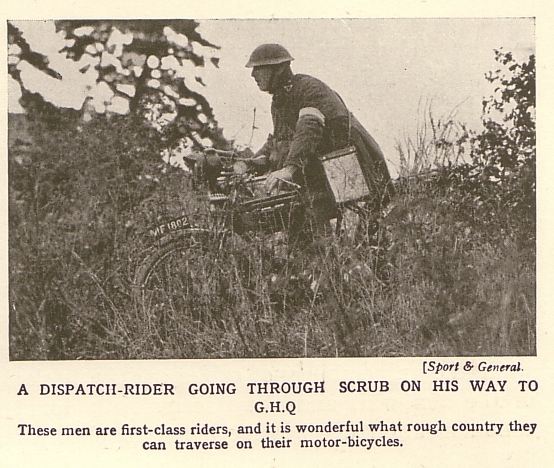 Below are scans of the two wheeler related pics. British tanks rolling through an imaginary French village. 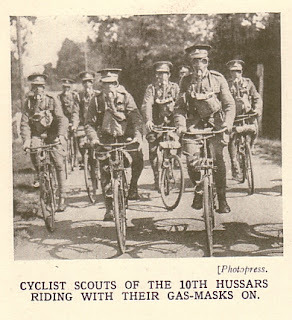 Can't have been much fun cycling in a gas mask. my one. Wonder if mine is ex-WD? Looks like another Triumph. Probably a Model P.
bikes that are hard to identify and one Harley to the right. 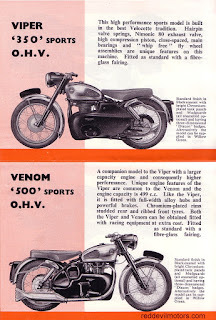 As a motorcyclist living in the Soviet Union you may not have had a huge variety of bikes to choose from but at least they came in nice colours and were promoted with shiny brochures (for consumption in the West at least). 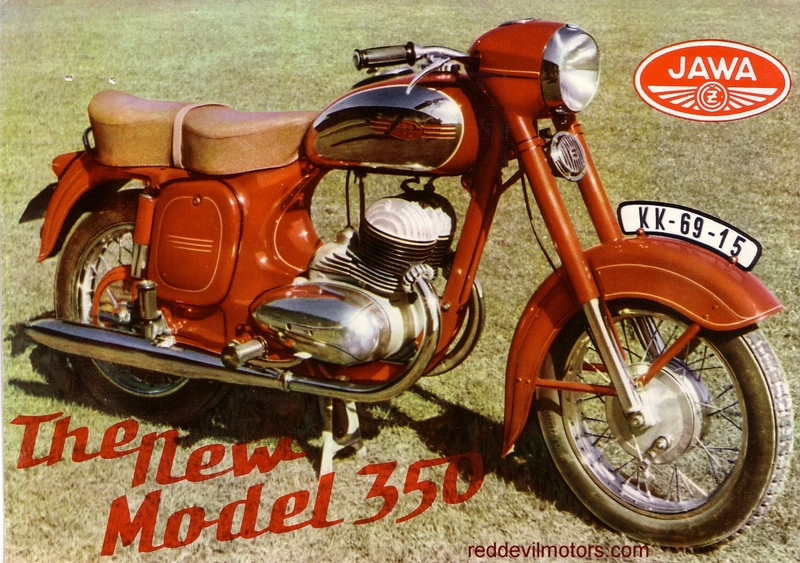 What's more is that during the fifties a Jawa was a match for any machine of similar capacity from Britain, it was only through the later sixties and seventies that Eastern Bloc designs began to stagnate. 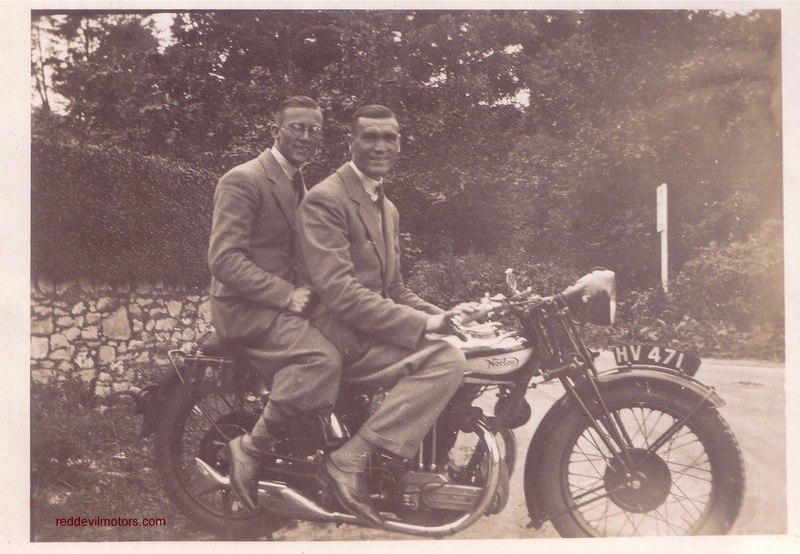 Styling of the Jawa was spot on trend (Edward Turner even 'borrowed' the Jawa headlamp nacelle design for his postwar Speed Twin) and the bikes were a model of rugged, reliable simplicity combined with decent performance. 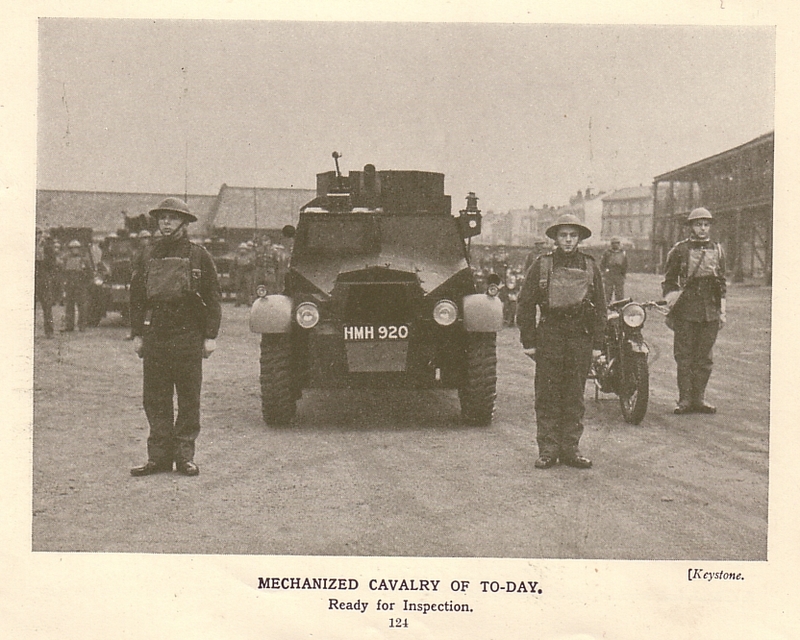 Alas though, even with all they had to commend them, Jawas never sold in great numbers in the UK in the fifties. Jawa 354/04 350cc two stroke twin, 1958. Starting somewhere around 1998 I imported old bikes from India to the UK and did this for around four years. 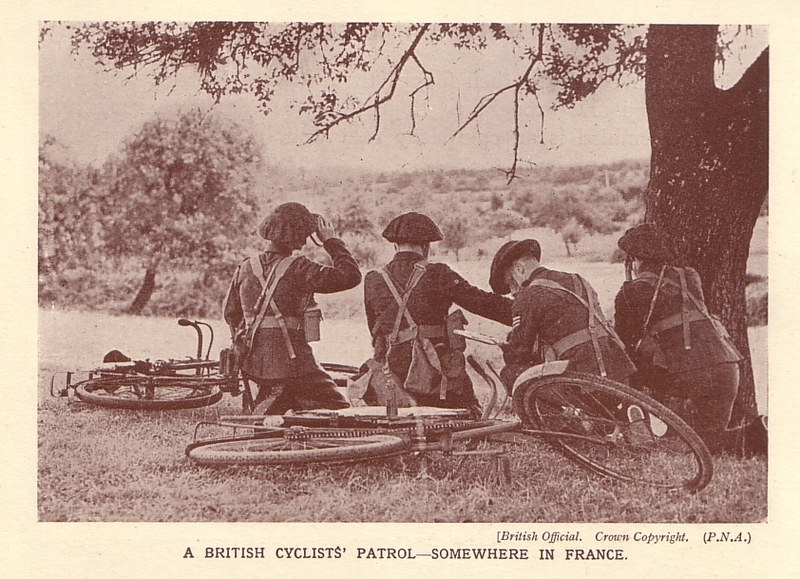 Most of the bikes were pre-war or ex-WD and some were in fine condition and some terrible: there were a surprising number of Welbikes amongst them. I found these photos whilst going through an old album. There was another Welbike I had that had been converted in to a bicycle as well that alas I don't have a snap of. I'm not entirely sure how so many ended up in India bit it seems like they were used as runarounds at large bases and probably continued to be used by the Indian Army too for a while too after the British left. There were both MkI and MkII variants, several had been neatly modified with a fabricated centre stand. I think most of these below have been restored by now. 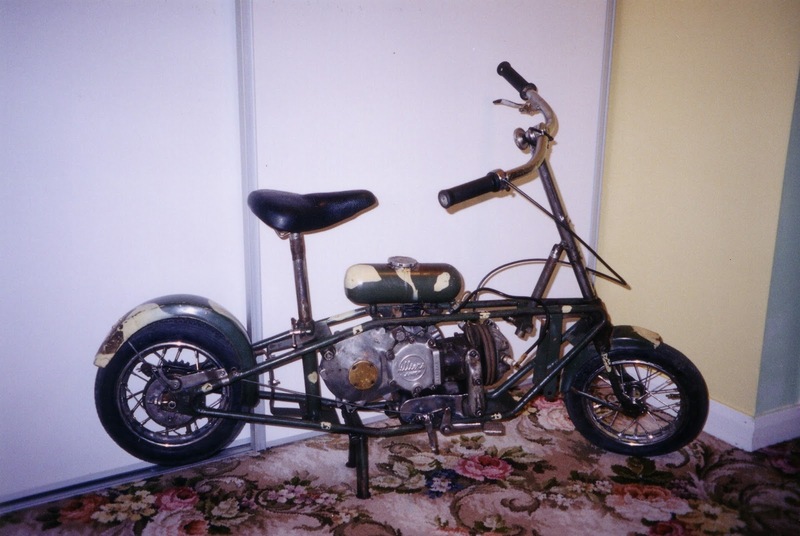 You might imagine that another eight of them would satisfy demand but they have surged and surged in popularity to the extent that several batches of replicas have been made. 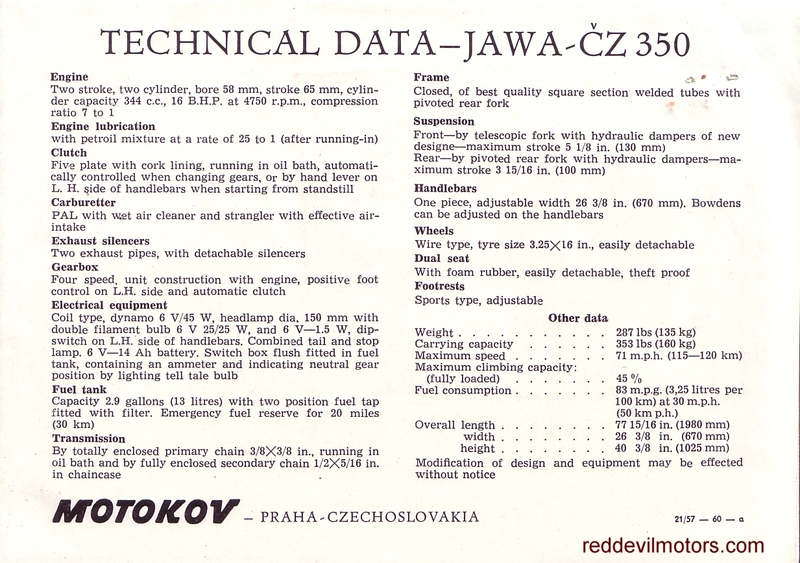 At least one of these ones was used as a pattern for replicas. 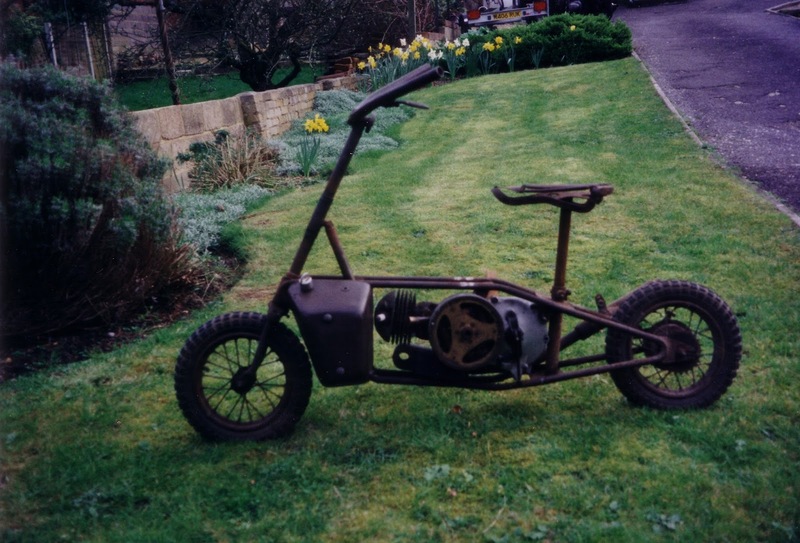 If you aren't familiar with the Welbike there's a very brief history here. 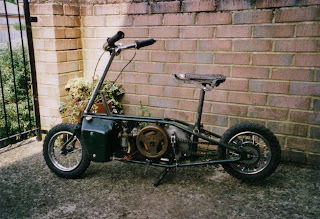 Petrol tanks missing was the norm, mini carrier is neat! has been converted to gravity feed. 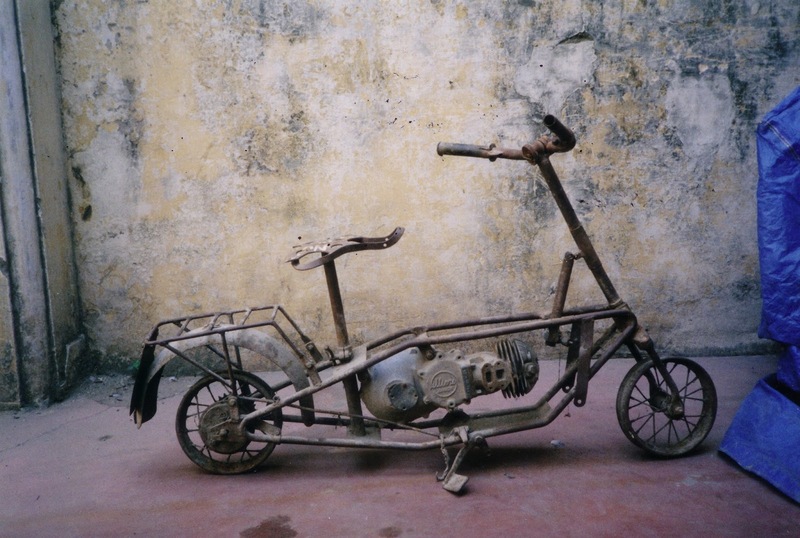 restoration and it is a nice part of the bike's history. background. 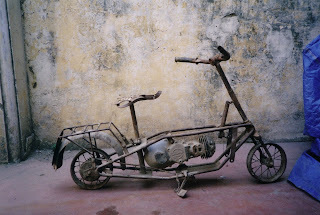 There were a lot of these in India too. Last one and also in pretty decent nick. A bit off subject for this blog's normal content, but hey there aren't any rules and isn't it great? 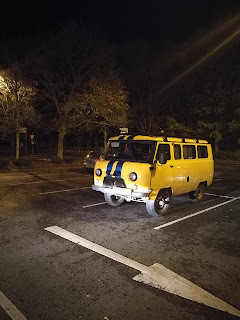 Spotted this Russian UAZ 452 van in my local supermarket car park, it's on Russian plates so I guess was driven over. Apparently you can still buy these new. 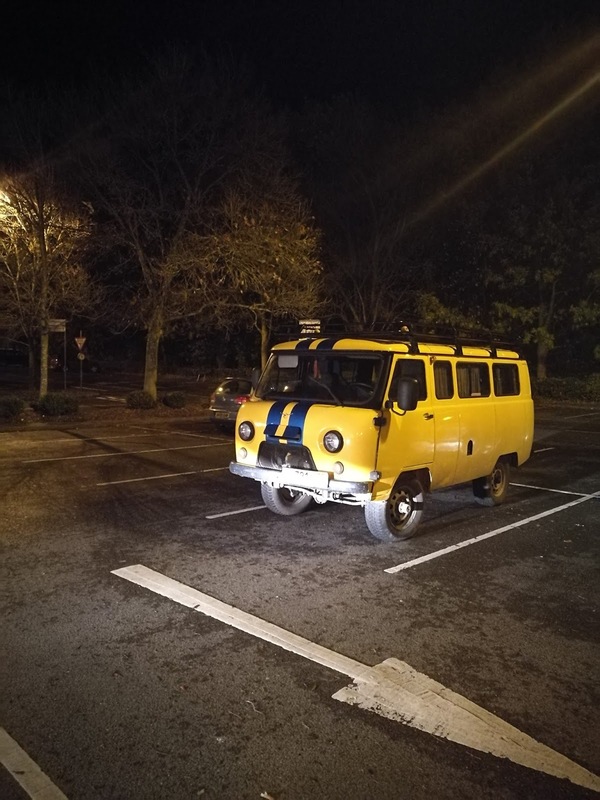 UAZ 452 hanging out at the Tescos car park. It's a long way from Russia. 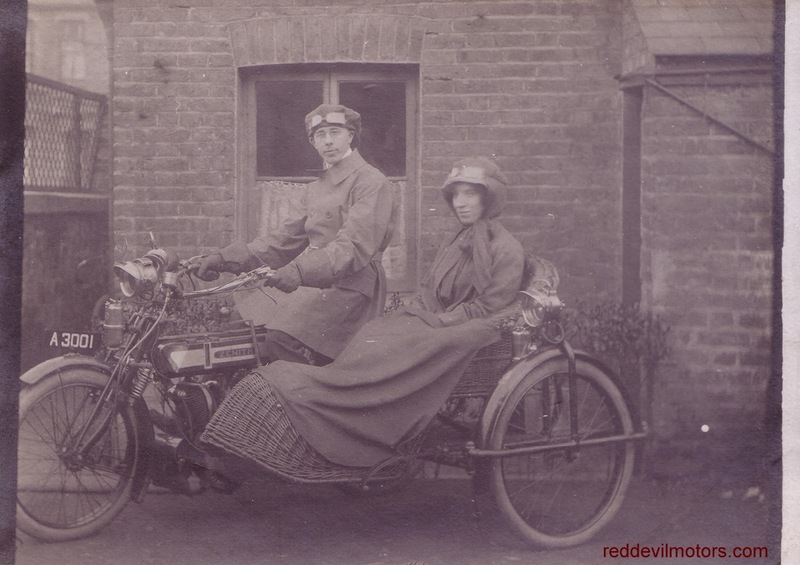 Charming photo. 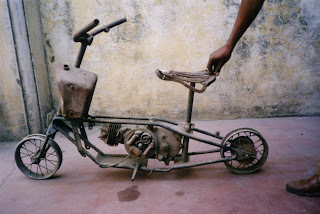 Bike is, I believe, as per post title. 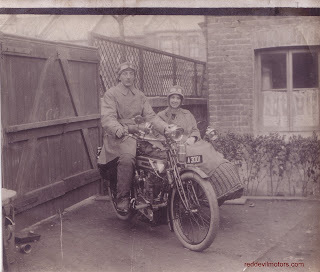 Anyway, once in it was the same good old Kempton. Perhaps a bit more general market stall tat on offer than the last time I was there but still a good and big autojumble. 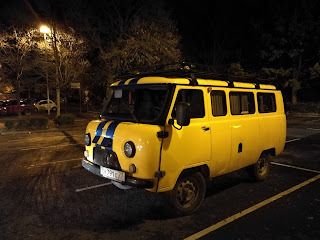 The Off Road Show adds a nice extra dimension to it all too. Must make an effort to visit more often. 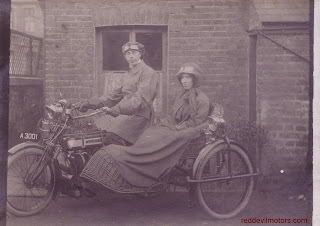 Here's a few snaps of bikes from the jumble and show. 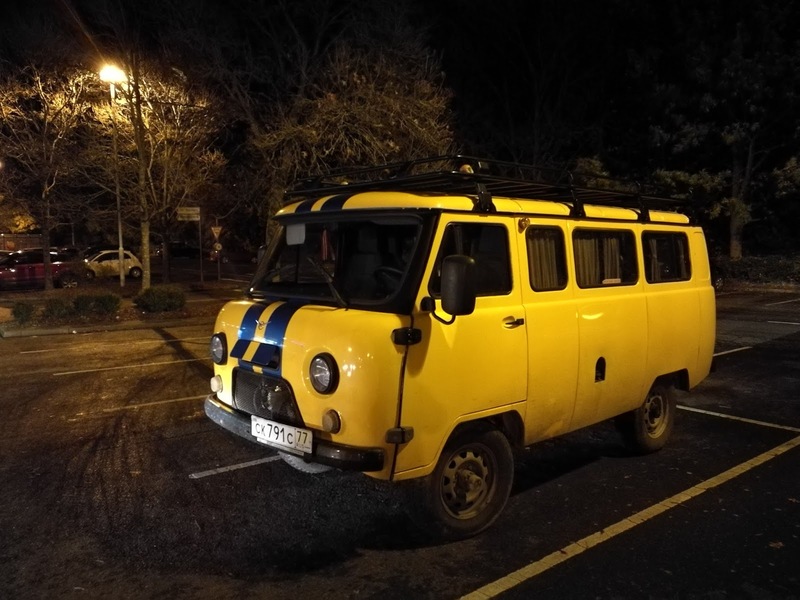 in the jumble but without a price tag. This Series 1 Enfield Interceptor had been in a fire. 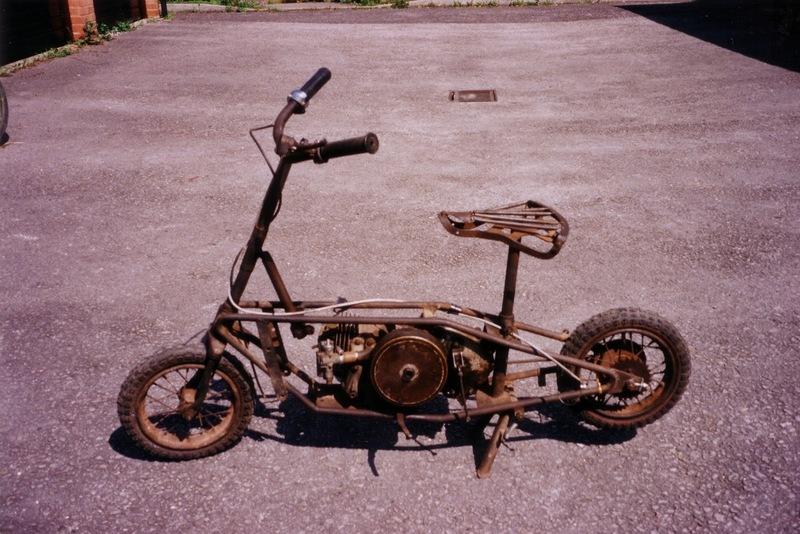 who said they were going to resurrect it. 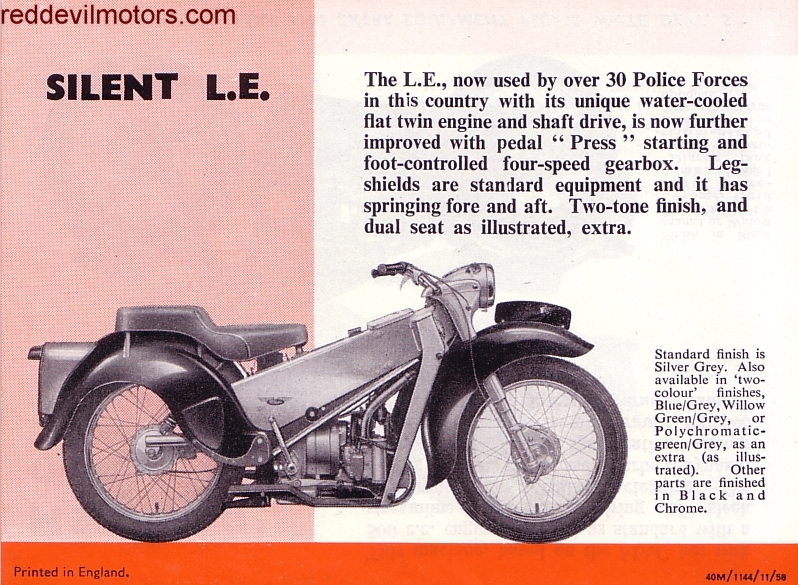 Unrestored Excelsior Autocycle, the desirable two speed model. Unconventional art work on the tank and all the better for it. 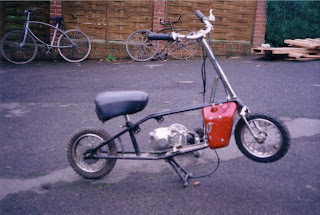 narrow magdyno motor and early external clutch arm gearbox. Francis Barnett trials with rare Ajax head. 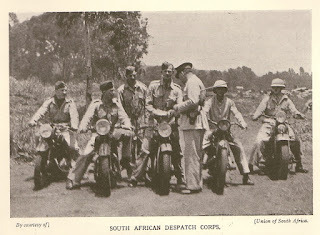 Hardtailed Royal Enfield Bullet trials. 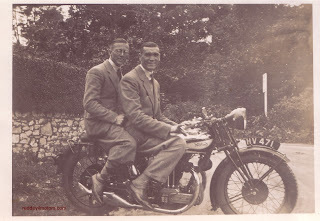 Rather rare Greeves 25TA trials twin. being way too big for them. Here's an Itom. 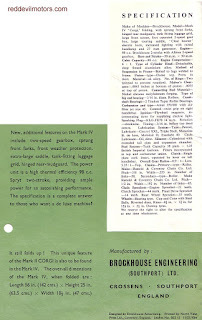 1956 MV Augusta Squalo (Shark) CSS. 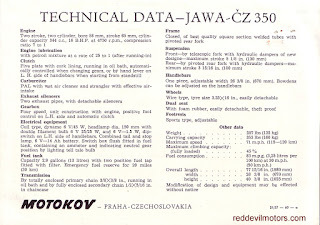 DOHC Ducati 125 Grand Prix single. 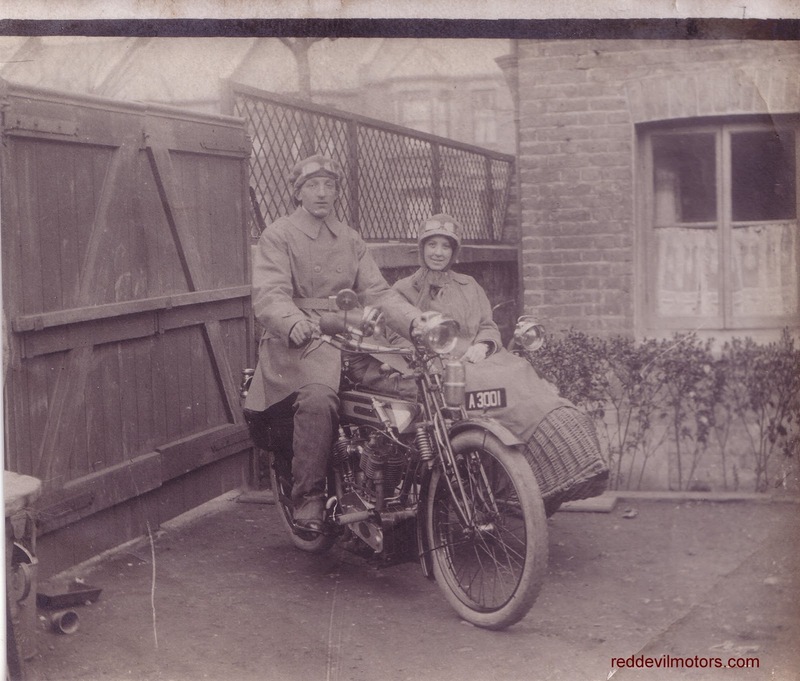 Stone catcher on the Ariel.